The boat last year was completely examined for weak boards ribs etc. All soft and weak boards have been removed and repaired. 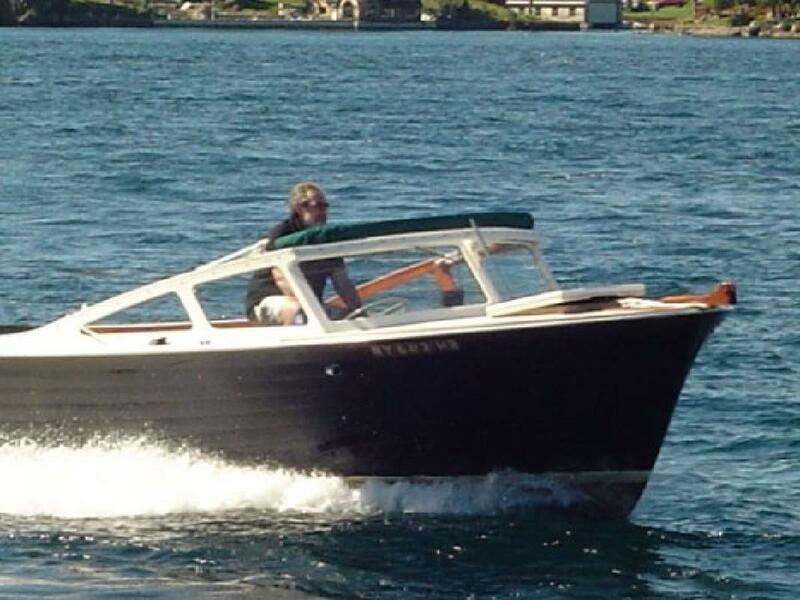 This truly is a classic boat and for the collector the discriminating buyer or for the person who wants something no one else has this will fit the bill. The Hubert Johnson Boat and Motor Company was originally founded and started in by Morton Johnson ( to ) (Morton Johnson Boat Company). Morton was considered a premier boat builder and was highly respected up and down the Atlantic Coast. His boats were considered ?Seaworthy?. In at the young age of 18 Hubert Johnson started the Hubert Johnson Boat and Motor Company. Hubert the son of Morton seemed to be competitive and maybe he had what he thought to be a ?Better Idea?. Hubert opened his new boat yard right next to his father?s yard. Almost sounds like the William Waldorf Aster and his cousin John Jacob Aster and the Waldorf Hotel. Hubert Johnson was successful and therefore must have had a ?better idea?. Hubert?s boats were custom made and were shipped all over the world. The Mediterranean attracted many of his boats and the King of Greece had one made for himself. One of Hubert Johnson?s most successful boats was a 42? sailboat ?The Keel?. Hubert won all the important races. Hubert died in and his tradition craftsmanship and quality boat building was carried on by his children until . Hubert Johnson Company hired a marine architect David Martin in who was responsible for designing a sport boat for the new 50?s generation. It now is called ?Picnic Boat or Cruiser?. Legally this boat was a Sportsman however its trademark design and the black hull lead to the nickname ?Blackjack?.